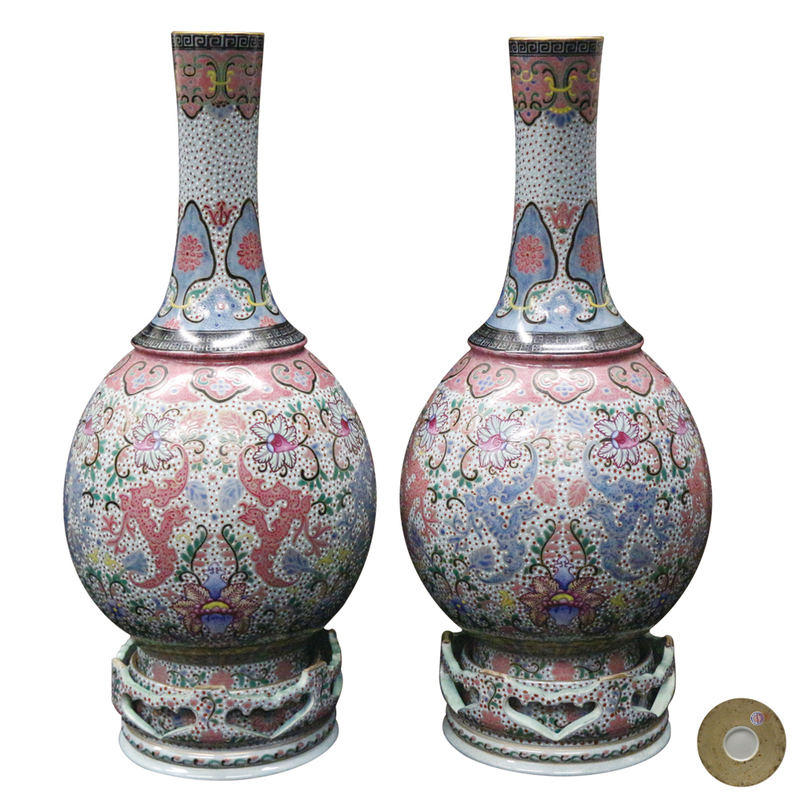 The turning bottle is the treasure of Chinese ceramic art. A bottle type created in the Qing Dynasty. The bottle body of the rotary heart bottle is composed of an inner bottle, an outer bottle and a base. 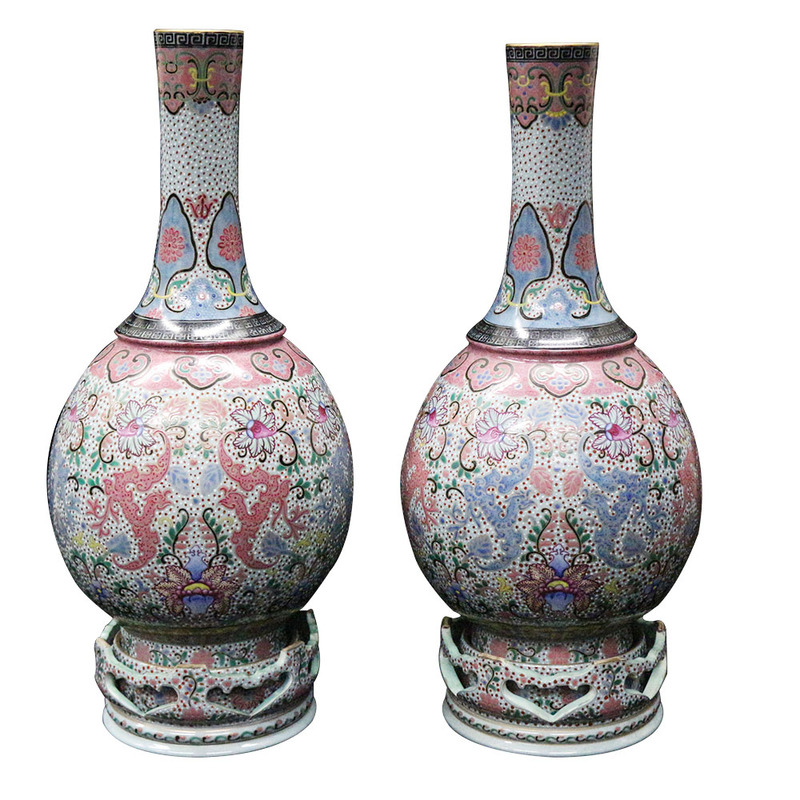 This Qing Dynasty official kiln vase in Kangxi's age is well-balanced, full of color and elegance, lifelike and lifelike, and has a magnificent layout. The whole device is ingeniously conceived, exquisitely made, combined with the crafts of gold and color painting. It is extremely luxurious and breathtaking, and belongs to the peak of the three dynasties of Qing Dynasty.